Mix the boiled meat with ginger garlic paste, National Haleem Masala and 2 glasses of water. Braise on gently heat until very tender, then mash roughly. Grind the boiled daals and wheat, mix into the meat and simmer for half an hour. In a separate pan, heat the oil and fry finely sliced onions until brown and crisp. 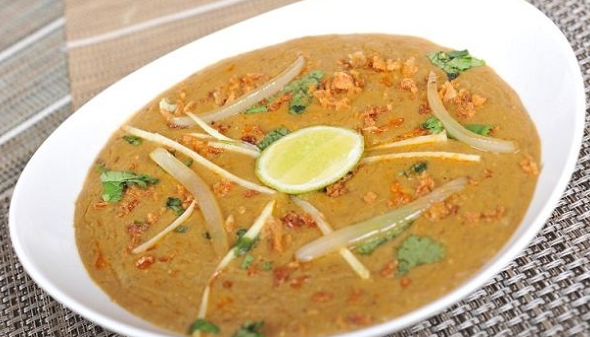 Pour the onions and oil over the haleem, bring it to one quick boil and serve piping hot.